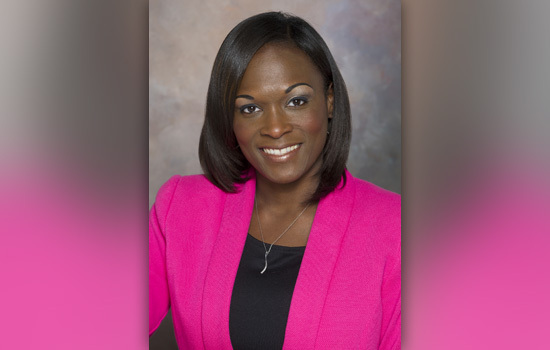 Ebony Miller has been appointed program manager for the Saunders College of Business Center for Urban Entrepreneurship at Rochester Institute of Technology. Miller will be responsible for research, development, delivery and assessment of mission-related programming at CUE, which opens early next year at its new downtown location in the former Rochester Savings Bank, 40 Franklin St.
A resident of Greece, Miller previously served as senior staff specialist in RIT’s Kate Gleason College of Engineering’s Office of Student Services. Prior to RIT, she worked as program coordinator at the Urban League of Rochester’s Minority and Women Business Development Division. Delmonize Smith, director of CUE, says Miller’s prior experience providing similar services to the Urban League is a true value-add for the center. Miller says she looks forward to assisting business owners with growing their businesses and to educating aspiring business owners on entrepreneurship and identifying their needs. “It’s something I’m very passionate about, so I am very excited about the opportunity to continue to do what I love. “I see the most important aspect of my job as developing effective and efficient mission-related programs that will ultimately lead to increased revenue for the businesses we serve, a positive impact on the economic development within the City of Rochester, and RIT becoming the hub for urban entrepreneurship,” she says. Miller earned a BA degree in communications and a master’s degree in communications and information technology from the State University of New York at Buffalo.